Micellar waters have made a resurgence in fashion shows as the one and only product to remove a full face of makeup without leaving any oil residue. In fact, micellar waters originated from Paris, where they were dealing with too harsh of water for washing their skin. 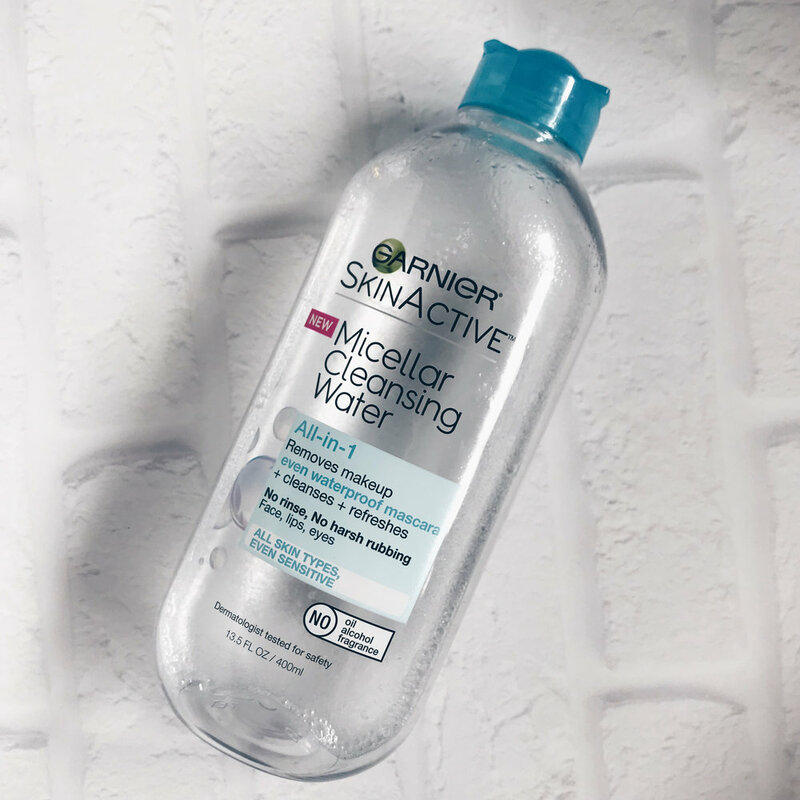 Micellar waters gave many the alternative to the bad effects of hard water on their skin. Now, you can find brands like; Lancome, Garnier, Sephora Collection, and Koh Gen Do all with there own micellar water. The first time I tried a micellar water was about 5 years ago with Bioderma Sensibio H20. I immediately fell in love with how quick and effortless it was to take off stubborn mascara and eyeliner. Ever since then, I have tried several different brands but always go back to Garnier's Micellar Water. It is inexpensive and easily accessible at Target, CVS, Wallgreens, etc. I take a large cotton oval and soak it with the micellar water and then I hold the oval on each eye for about 15 seconds to let it fully saturate the area. Then, I gently remove all traces of my eye makeup. After my eyes, I take a new cotton oval and repeat that step all over my face. Once my makeup has been removed, I take my cleanser and fully wash my face and pat dry. I think most people wash there face once with a full face of makeup and think they are done. On the contrary, micellar water doesn't replace washing my face. Once my makeup has been removed by micellar water, that is when I can deeply cleanse my skin. Double cleansing is very important for skin health and to make sure there are no makeup, dirt, pollutants on the skin. Thus, any serums or moisturizers are able to go to work for you efficiently. Do you use a micellar water? How do you remove your makeup?